Saturday, November 18th is National Apple Cider Day – so yes perfectly fitting for fall (I’m thinking of apple cider donuts of course) but let’s not forget Apple Ciders amazing beauty benefits – one of best being for your hair. Apple Cider is often used for its detoxing and deep cleansing properties in clarifying shampoos (& dry co-washes), which is an essential product for maintaining clean beautiful locks. Wanted to share the below products and tips in case you have any Apple Cider themed beauty stories you are working on this week. 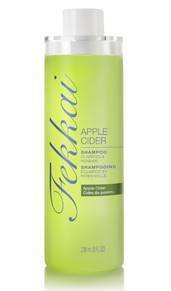 Additionally, I have great Fekkai Stylists if you need any tips on why it’s great for your hair! Clarifies and Renews. Infused with Apple Cider. Scented by fresh apple and pear. Silicone-free purifying cleanser clarifies and removes buildup. Overworked hair is deeply cleaned for a new beginning. Cantu Refresh Dry Co-Wash is made with apple cider vinegar, tea tree oil and shea butter – a deeply cleansing yet nourishing cocktail that cleanses and conditions in one easy step. Whether you’re wearing your hair straight, curly, weave, or extensions, bring your look back to life and condition your strands at the same time. Free of Mineral Oil, Sulfates, Parabens, Silicones, Phthalates, Gluten, Paraffin and Propylene.  Spring Detox Must Haves! Spring cleaning – no one wants to start, but it feels so much better once you’re done! Wondering how to make your spring cleaning (or detoxing!) more enjoyable? Start with you! These must-have products are meant to renew and refresh your lifestyle, just in time for the new season. It helps cleanse the environment too! This highly-active resurfacer delivers your smoothest skin ever, and helps fight the biochemical and environmental triggers (like pollution) known to accelerate skin aging. The advanced powder formula activates upon contact with water, releasing powerful enzymes, skin-smoothing alpha hydroxy acids and anti-pollution technology. Activated Binchotan Charcoal purifies the skin, helping to adsorb environmental toxins from deep within the pores, while Niacinamide, Red Algae and Tara Fruit Extract help guard against the damaging effects of pollution. Refresh last season’s look but remove those oils! Leaves hair soft with lots of volume and never flakes. It is formulated for fine to medium hair. Removes dirt, excess oil and product build up. DHT Inhibitors help maintain healthy hair and scalp. Keeps hair color safe and lasting longer by lengthening time between washes. Purify your scalp and enjoy the process! This detoxifying shampoo with essential oil of eucalyptus stimulates the scalp and eliminates product build-up without stripping hair of its natural protective barrier. Used weekly, hair is gently cleansed, refreshed and revitalized. After your scalp is cleansed and detoxed, time to nourish those strands! The L’ANZA Keratin Healing Oil Treatment builds body & strengthens your hair follicles. An ultra-healing blend of Keratin Protein and Phyto IV Complex combine to leave hair incredibly soft and smooth with a healthy, radiant shine. Free of sulfates, parabens, gluten and sodium chloride. Deep clean your brushes while you’re at it! The Artis Cleaning Pad unit includes an antimicrobial microfiber cloth held in place over a rigid base, and the cloth has over a million loops per square inch, creating the perfect surface to wipe brushes clean. 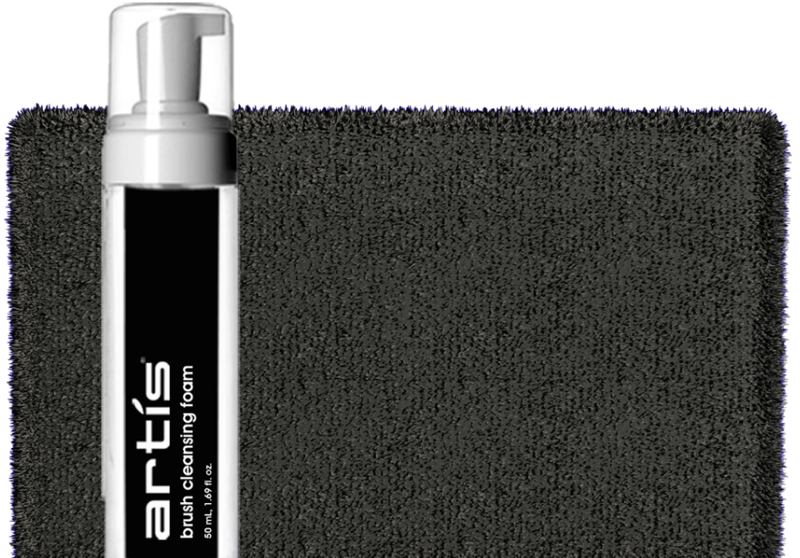 The Artis Brush Cleansing Foam dispenses as bubbly foam which coats each fibre/hair of the innovative Artis brushes. L.
Who would have thought that lava could equate with beauty? I mean, lava flowing from a volcano can be picturesque, but I would have never even imagined that hardened lava could contain substances that could make my skin beautiful! Bentonite is a type of absorbent and detoxifying clay from volcanic ash that binds strongly to toxins such as heavy metals and other environmental pollutants. Zeolite is a type of volcanic mineral with a cage-like molecular structure that also binds to toxins and removes them from the surface of skin. Pumice is a volcanic rock that consists of highly vesicular rough textured volcanic glass, which sometimes contain crystals. It acts as an exfoliator and removes dead skin cells. 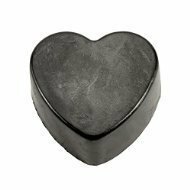 Their signature Lava Love “Volcano” soap that exfoliates with the perfect amount of finely ground pumice, detoxifies and scrubs away impurities from the surface of the skin. It is simply amazing! A facial mask that can draw out impurities such as blackheads. It can also be used as a poultice placed directly on sore joints or over the liver or tummy for a strong detox. A detoxifying bath powder that clears chemicals from tap water in the tub and gives the body a gentle cleanse by drawing toxins through the pores of the skin. You leave your bath feeling grounded and relaxed. 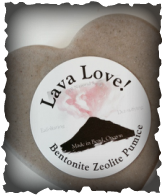 Dunham, a writer and nutritionist who lives in Portland, Oregon, developed the Lava Love line in 2014 after she discovered the healing power of clay after being diagnosed with chronic Lyme disease. 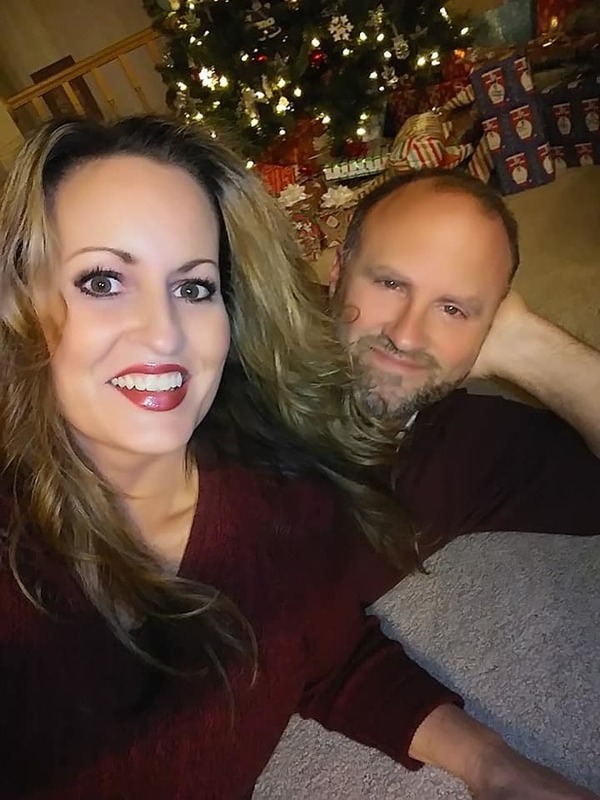 While others diagnosed with the same incapacitating illness did not seem to recover, she healed herself over time by changing her diet and using clay baths to detoxify and regain her immune function. 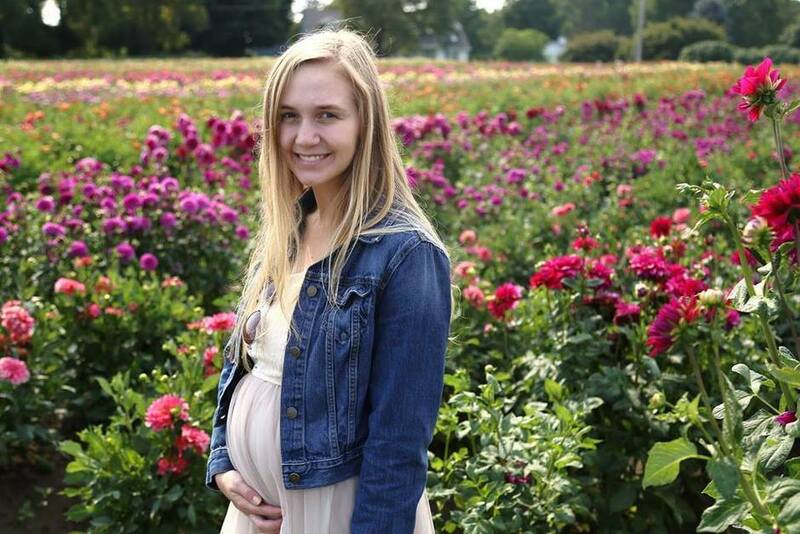 Once she began to heal, she went from bedridden to working full time in a matter of months. Today, Dunham is a certified nutrition consultant who works with clients throughout the United States, Europe and Asia helping them regain and improve their health using the same gentle system. A former staff writer for major regional and national news organizations, she now writes the Healthy Home column for Oregon Home magazine. 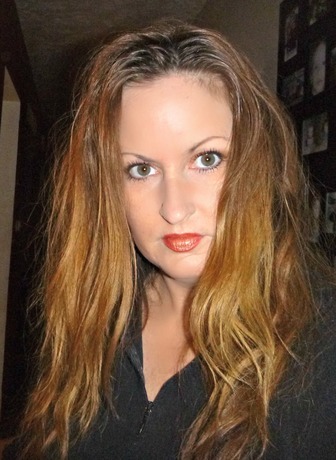 She is also the author of the guide “Lava Love: How Mother Earth Can Heal Your Body” due out in 2015. 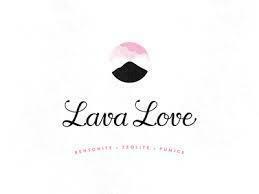 My thoughts: I received a bar of Lava Love's “Volcano” soap and a package of their detoxifying bath powder to review. I use the amazing soap in my shower every night. I actually use it from head to toe right before my final rinse. It has a very soothing a vanilla/peppermint fragrance and I love it! It is wonderful for exfoliating my skin from my face to the bottoms of my feet. I love the bath powder, too. I love to just rub it onto my skin and relax in the tub. I especially like to rub it on my stomach area to reduce bloating. It really works! I feel amazingly relaxed after my bath. Detox with Easy Recipes After Holiday Indulgence! The holidays over and our waists have sufficiently expanded. What can we do to detox and stop this Waist Line Disaster!? Certified Health Coach Yovana “Rawvana” Mendoza is just the person to get people on the right track after a holiday season of over-indulgence. With a top-selling raw vegan recipe app that took the #1 spot in the food and drink category and a You Tube raw vegan channel that boasts over 50,000 subscribers, Rawvana can whip up a delicious vegan recipe that could get the biggest bacon double cheeseburger-eater interested. 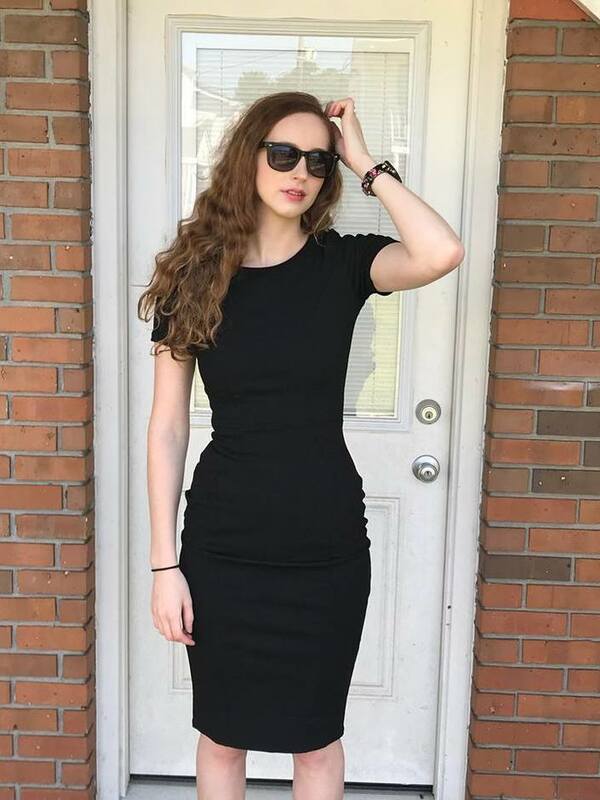 Fluent in both English and Spanish, she aspires to educate a wider audience on the health benefits of a raw vegan diet. She, herself, discovered how good the diet made her feel when she planned on use it as a detox for two weeks. She felt so wonderful after the two-week period that it became permanent and a passion! 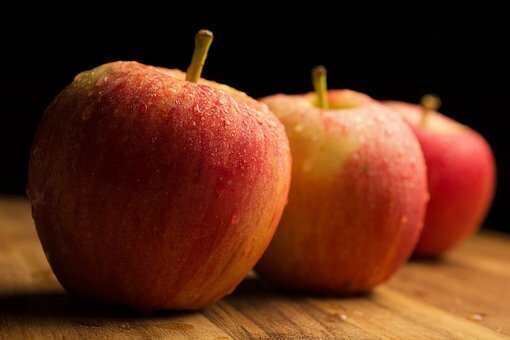 Take small knife and cut out a circle around the stem of the apple. 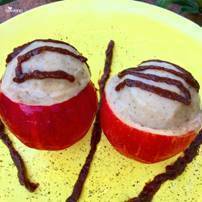 Take out cut out circle and then with an ice cream scoop, hollow out the middle of the apple. Take 3-4 bananas, place in blender on high with 1/2 teaspoon of vanilla bean powder. Blend until you get a smooth, creamy consistency. Soak 1/2-1 cup dried figs in water for 2 hours. Remove from water and blend on high. How? It is easy! Just enter to win using the Rafflecopter form below. Good luck! To learn more, visit Rawvana’s You Tube channel here or her website, Rawvana.com. Skin Care has been revolutionized with Beautiful -the world's first "skin supplement." Your skin is your body’s largest organ, and it craves pure nourishing ingredients that help it to maintain its healthy youthful glow, smoothness, elasticity, and resistance to wrinkles and damage. Beautiful A. M. Moisturizer and P. M. Revitalizer – for Women is a revolutionary superior new live skin care system that brings life and beauty back to your skin…without ANY chemicals. If you’ve used commercial cosmetics or skin care products for any length of time, then your skin has become clogged, congested and damaged by these creams, ointments, serums and lotions that have been applied to it day after day. Any product that contains synthetic chemical ingredients is basically shocking your skin into submission in order to get the desired result. This will only harm your skin in the long run, by robbing it of its natural chemistry, damaging its defenses, and compromising its appearance. Smearing your skin with chemical-laden products will not only wear down your skin’s integrity over time, it can also be hazardous to your health. The cosmetic skincare industry is among the worst and least regulated in our entire society. They have almost total free reign to put whatever ingredient they choose into our everyday skincare products, with little to no regard for our health and wellbeing. Prime example: Lobbyists from the skincare industry have strongly opposed bills that would require them to notify the government before releasing products that contain ingredients that are known to cause cancer! Ingredients like parabens, petrochemicals and others have been associated with or linked to allergic reactions, skin conditions, hormonal disruptions, neurotoxicity, and even cancer (see our free report, The Poisons You Put on Your Face Everyday, where we expose the truth behind skincare ingredients that the industry doesn’t want you to know). Bottom line: If you have to rub it in, your skin doesn’t want it, and it’s not good for your face. Your skin naturally produces oil called sebum to keep your skin healthy, moist and nourished. Your body knows how much sebum to produce to maintain optimal skin health. Unfortunately you’ve been lied to by multibillion dollar cosmetic corporations. They’ve spent a lot of money to tell you that you need to wash away these natural oils (because supposedly your body doesn’t know what it needs in order to maintain optimal skin health). You’ve been told to strip away your natural oil and replace it with nasty processed chemicals instead. This is a common mistake and misconception. By stripping your face of natural oils, you are actually removing your skin’s natural defense and moisturizer, which means the dirt, grime and sun from daily living can wreak havoc on your skin. This puts your skin into overdrive and it then over-produces this sebum oil, thus causing you to think you need stronger and stronger face washes and more products to remove this excess oil. Unfortunately, this becomes a never ending viscous cycle for most women, whose skin becomes ravaged by the onslaught of these harsh chemicals. As the years go by, you not only need cleansers and moisturizers, but you become convinced by flashy advertisements that you need toners, anti-aging serums, and repair creams. This all plays into these big skincare corporations’ plot to get maximum profit per customer with multiple products, no matter what the consequences to your skin and health. The synthetic products you use may “prop up” your already abused skin in the short run, but in reality over time they’re making it much worse. Beautiful’s 100% pure live ingredients are the perfect living “foods” that your skin cells need in order to be fed the nutrients they need to stay clean, moisturized and revitalized on a daily basis. Beautiful’s revolutionary formulation simplifies your daily skincare needs by combining the functions of cleanser, toner, moisturizer, protector, repairer, blemish controller and age-defying serum. Instead of 5-10 products for your face, you’ll use 2: One in the morning, and one in the evening. Why do we use oils in our product? The pure live botanical oils in Beautiful help to balance your face sebum because “oil dissolves oil.” One of the most basic principles of chemistry is that “like dissolves like.” The best way to dissolve an over abundance of your face oils, a.k.a. “sebum”, is to apply something that is similar in composition – in this case, pure live botanical oils. By using the right oils, you can cleanse your pores of dirt and bacteria naturally, gently and effectively, while replacing the dirty oil with beneficial ones extracted from natural botanicals, vegetables and fruit that can create the environment that helps to heal, protect, moisturize and nourish your skin. Trying to keep your skin’s chemistry in harmony on your own is an almost-impossible balancing act. But when you use nature’s pure live botanical oils, they help your facial oils to balance on their own, no matter what type of skin you have – dry or oily. Because your skin’s inner layer is made up of fat and collagen, Beautiful’s pure botanical oils are naturally absorbed after being applied to your skin. No rubbing in is required. Beautiful’s proprietary A. M. Moisturizer and P.M. Revitalizer work together to help keep your face protected throughout the day and night so nature can do its work to insure a healthy vibrant appearance. Contains NO preservatives, parabens, petrochemicals, synthetic ingredients, fragrances, GMO’s, dyes or additives of any kind. Nothing works better than Beautiful. 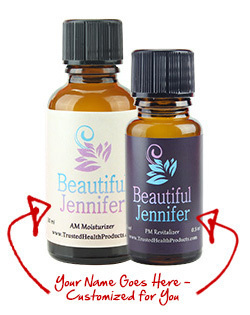 I received samples of Beautiful AM Moisturizer and PM Revitalizer to review. I love how my name is on the label of each bottle! My Experience: I have been using this product for about three weeks now. I apply the AM Moisturizer in the morning after I wash my face. I add just 1-2 drops and massage it all over my face and neck as well as my chest area. It absorbs pretty quickly and is not as oily as I thought it would be. I apply my foundation next and it looks very pretty and fresh all day long. After cleansing at night, I apply the PM Revitalizer (just a few drops) as my night time face treatment. When I wake up in the morning my skin looks amazing, dewey and fresh. I did experience a very small breakout after about 4 days of using this product, but it cleared up quickly and my skin has never looked better! This product also works as an excellent eye makeup remover! Just add a few drops to a Qtip and it comes off easily without stinging your eyes. My skin looks fresh and young! 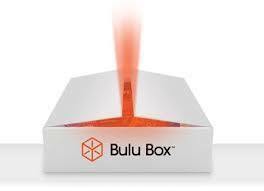 Bulu Box is a monthly subscription box which includes everything you need for a healthier you. 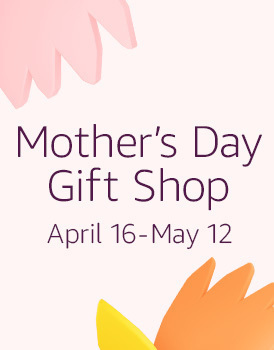 Each month you will receive a variety of assorted deluxe samples of top brand health care products for both men and women, including vitamins, supplements, sports nutrition, meal replacement, diet, energy, protein, detox, sexual health, herbs, natural remedies, endurance and more. 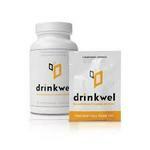 It is the most convenient way for you to discover exciting health products to benefit your life. It costs only $10.00 per month and you can cancel anytime. A metabolism booster made from a blend of honey, soy and yogurt safe for even people with diabetes. 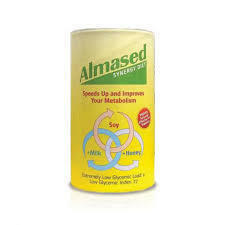 It nourishes the body as it stimulates healthy long term weight loss. My opinion: Of course with only a sample, I cannot tell if it works, but I am intrigued. I will definitely keep this in mind for my future weight loss endeavors. 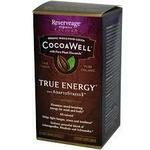 Natural herbal blend of caffeine to help enhance energy. Made with cocoa. My opinion: I don't drink coffee, and I can always use energy! It gave me a huge burst of energy which helped me to clean my house. If I am going to use caffeine, it is much better to get it naturally than from sodas, which have chemicals I don't need. Formulated with quercetin, a powerful, all-natural antioxidant found in foods such as red apples and grapes. These soft chews taste great and provide natural energy. My opinion: I like these chews. My kids think they are icky, but I actually enjoy them. They have a vitamin-y taste, but knowing that they are full of healthful ingredients makes me enjoy them more. I like to chew on these when I do not have time to eat breakfast and I need fuel. They satisfy me until I can eat. I have the pineapple flavor. My opinion: I don't drink, but if I did, Drinkwel seems like the answer to staying healthy from the damaging effects of the booze, I guess. 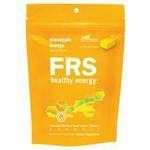 Antioxidants and Vitamin C neutralize free radicals for immunity support. Great for keeping those dreaded colds away! 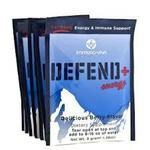 My opinion: These handy packets are great tasting and perfect to keep your immune system strong. My daughter was getting a sore throat so I made her drink this 3 mornings in a row before school and she never ended up getting sick. 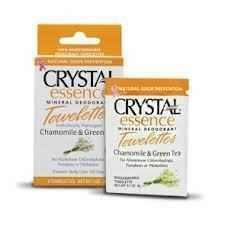 These crystal-infused towelettes offer all the benefits of top quality deoderant in a convenient packet. My opinion: I think these towelettes are perfect to stash in your bag for quick freshen-ups when you may not smell your best after working out or after PE. My daughters really love these. They make you feel fresh and clean without scary chemicals. Disclaimer: I received a sample Bulu Box to review and to keep. The opinions are my own.